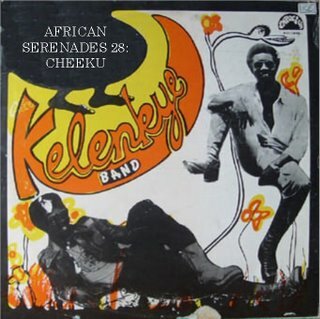 A big big thank-you to Cheeku to contributing this mix to the African Serenades series. Similar in many ways to number 13 in the series this one carries a lot of funk-influenced tunes, including some rare gems. I have been looking for Mulogi by Ali & Tam's avec L'Orchestre Malo ever since I heard it on a local college/community station. Thanks for validating its existence with your list! Your DL link no longer works. Any sharing of information so that I may listen to this again would be rewarded with endless gratitude! - File date limit has expired. - File was not successfully uploaded.